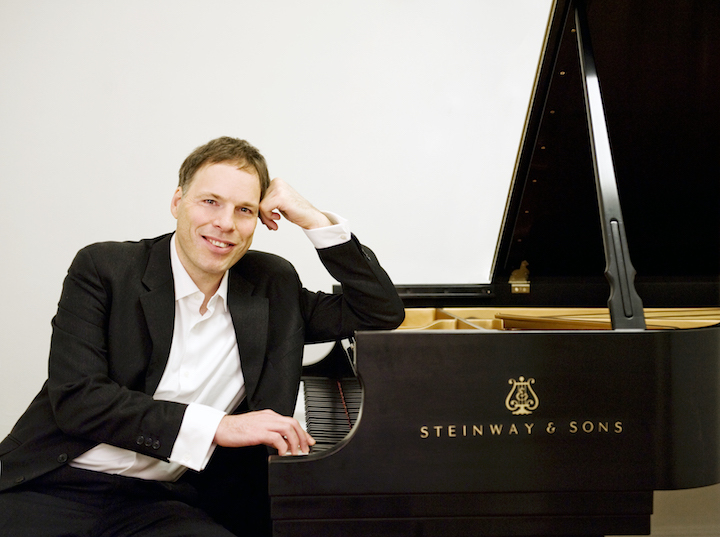 Acclaimed Israeli pianist Alon Goldstein (below, in a photo by Cigna Magnoli) returns to Madison this weekend for a Salon Piano Series concert in which he will be joined by University of Wisconsin-Madison’s own Pro Arte Quartet. There will be two performances: on Saturday, March 10, at 7:30 p.m.; and on Sunday, March 11, at 4 p.m. Both performances are at Farley’s House of Pianos, 6522 Seybold Road, on Madison’s far west side neat West Towne Mall. 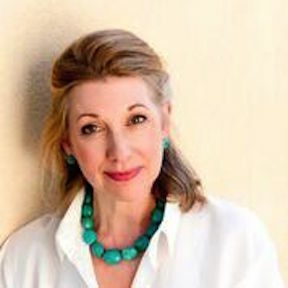 An artist’s reception follows each concert and is included in the ticket price. According to a press release: “Alon Goldstein is one of the most original and sensitive pianists of his generation, admired for his musical intelligence, dynamic personality, artistic vision and innovative programming. 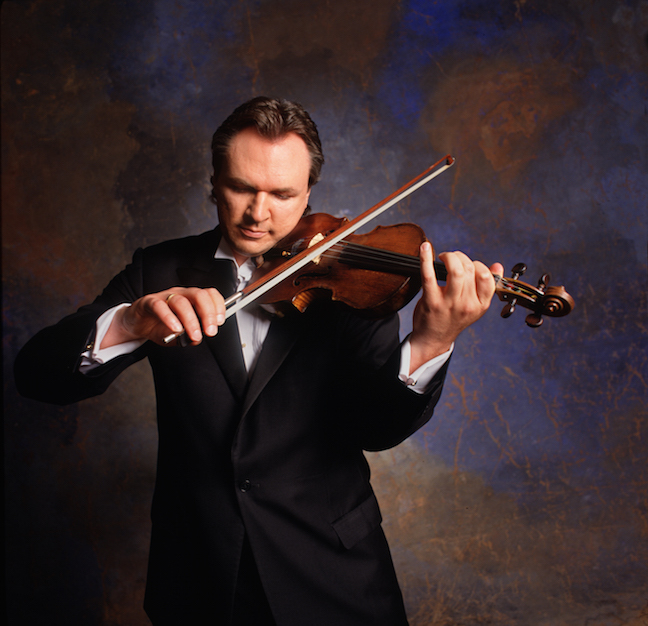 “He has played with the Philadelphia Orchestra, the Chicago Symphony, the San Francisco, Baltimore, St. Louis, Dallas, Houston, Toronto and Vancouver symphonies as well as the Israel Philharmonic, London Philharmonic, Los Angeles and Radio France Orchestra. 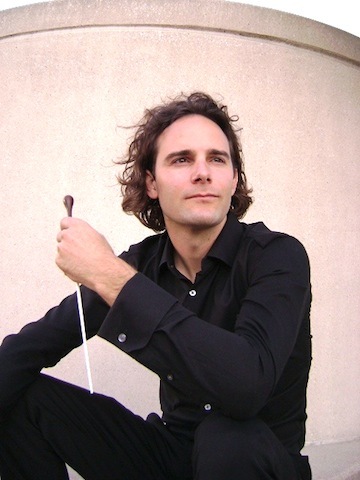 He played under the baton of such conductors as Zubin Mehta, Herbert Blomstedt, Vladimir Jurowski, Rafael Frübeck de Burgos, Peter Oundjian, Yoel Levi, Yoav Talmi, Leon Fleisher and others. Classical music can easily appear isolated from current events and social issues these days, more of a shelter or sanctuary or retreat than an engagement. Pop, rock, country and rap music often seem much more timely and symptomatic or even concerned and supportive. But classical music has often shown a social conscience. One thinks of the composer-conductor Leonard Bernstein and his support of those protesting the Vietnam War and of black power advocates – efforts that often drew criticism and sarcasm from those who disagreed. 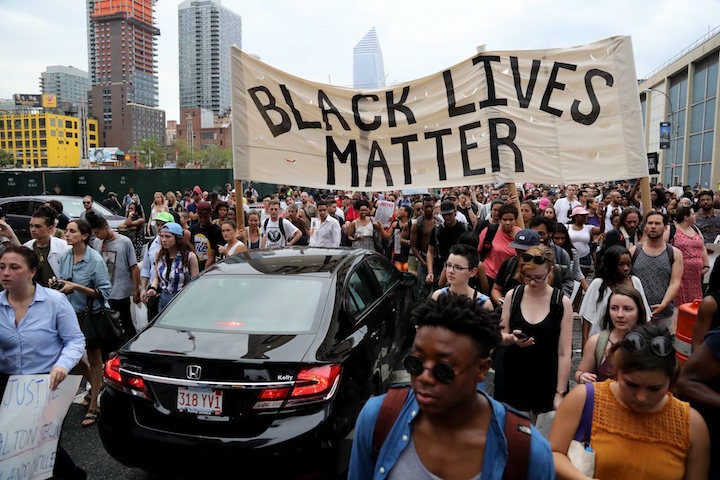 Something similar seems to be happening today with the Black Lives Matter movement and classical musicians in the wake of the Minnesota, Louisiana and Dallas, Texas shootings, death and murders. 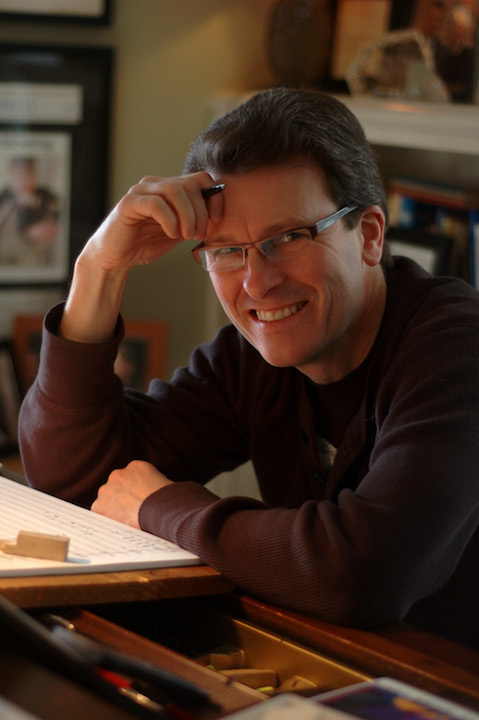 Classical music: “It always starts from the singing line.” Composer and librettist Mark Adamo talks about creating his popular opera “Little Women,” which will be performed twice this weekend by the Madison Opera. 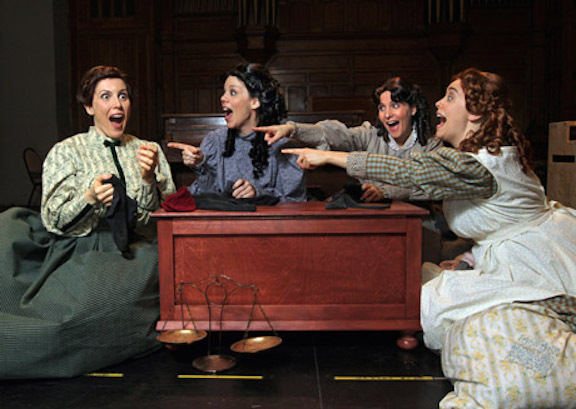 The Madison Opera will present its modernist production of the popular contemporary opera “Little Women” (below, in a traditional production by the Calgary Opera) by Mark Adamo this weekend. Performances are in the Capitol Theater of the Overture Center on Friday at 8 p.m. and on Sunday at 2:30 p.m.
Tickets to the opera, based on Louisa May Alcott’s famous 19th-century American novel of the same name, run $21-$101. 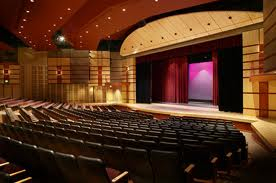 You can call the Overture Center box office at 608 258-4141. “Little Women” will be sung in English with projected surtitles. The running time is 2-1/2 hours with one intermission. Is there anything beyond what is on your website that you think readers should know about you, your background and your career, including your latest and upcoming projects? 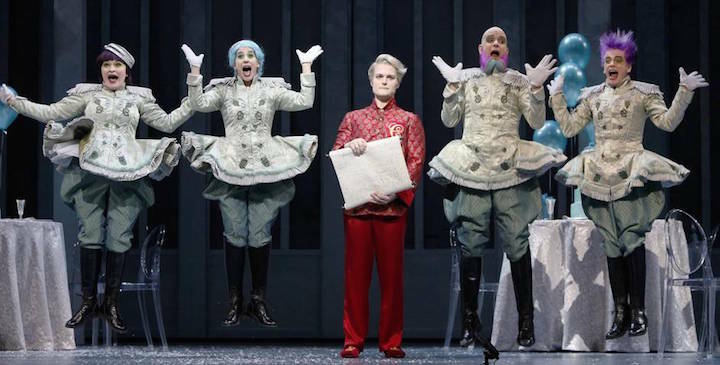 The website has only a little detail about “Becoming Santa Claus,” which is my fourth opera and which was given a lovely premiere (below) in Dallas in December. I’m editing the soundtrack for an upcoming DVD of the piece even as we speak. What attracted you to “Little Women” as a subject for an opera? I actually resisted it up front. I thought it was charming, but too antique and undramatic even to speak, let alone sing. I was drawn to it only when I realized the show was neither “Three Weddings and a Funeral” (that is, not a story of all the March girls, save Beth, growing up to marry) nor a story of a girl struggling to be an artist (her whole family supports her) but a startling, and startlingly proto-modern, story of a girl/woman who learns too late that the destinies of even those she loves are out of her control. Once it occurred to me that it was the story of everyone who’s ever heard, or uttered, the words, “I love you, but I have to leave” — and didn’t know why it had to be so — I knew the piece could sing. 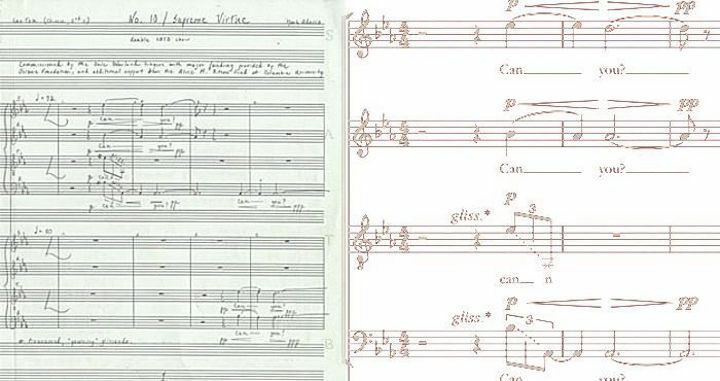 How difficult a challenge is it for you to do both the score and the libretto? Do you prefer doing one to the other or find one easier? For me, it’s natural. I was trained not only as a musician but as a playwright and lyricist (and, less comprehensively, as an actor and director) and, temperamentally, I’m the sort of artist who likes to take the most various, and longest possible, view of the project first before I start it. An opera is a structure of words and music designed to be acted So the more questions I ask myself up front, the clearer both the script and the score can become even before they’re created, because the piece has been conceived in toto first and then the words and music designed to express it. How would you describe the style of your music to the general public? It always starts from the singing line. But I let the emotion of the character and the flow of the story determine everything else. If the character feels like she’s making beautiful discoveries as she falls in love, the harmonies open up, moving from key to key before it settles when she does. If the conversation is turbulent, unsettled, inconclusive, the music is similarly fugitive. “Little Women” has been performed in more than 65 international productions. What do you think has made it so popular? What is the usual public reaction to the work? Eighteen years after its premiere, my only possible response is gratitude that this opera is still speaking so often and to so many. ALERT 1: The Sunday Afternoon Live performance by the Wisconsin Brass Quintet at the Chazen Museum of Art is NEXT SUNDAY, NOT TODAY. The Ear apologizes for the mistake. 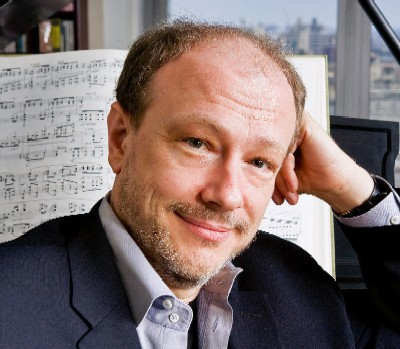 ALERT 2: Tonight’s concert of new music for woodwinds and piano by UW-Madison professor Les Thimmig and pianist Jessica Johnson has been CANCELLED. 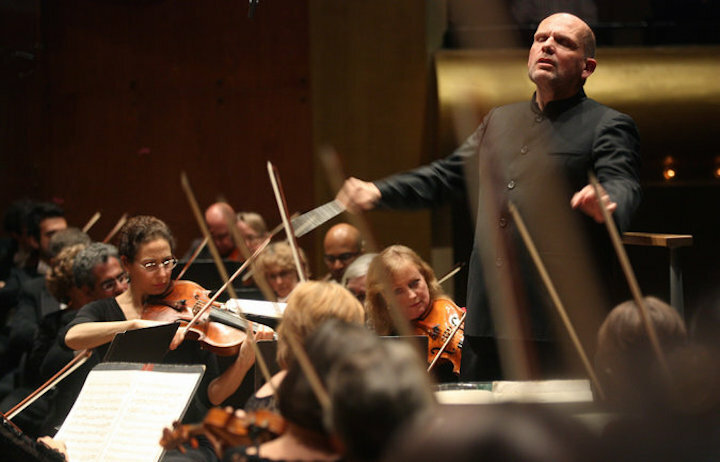 This week the New York Philharmonic announced its next music director and conductor who will succeed Alan Gilbert, starting in 2018. 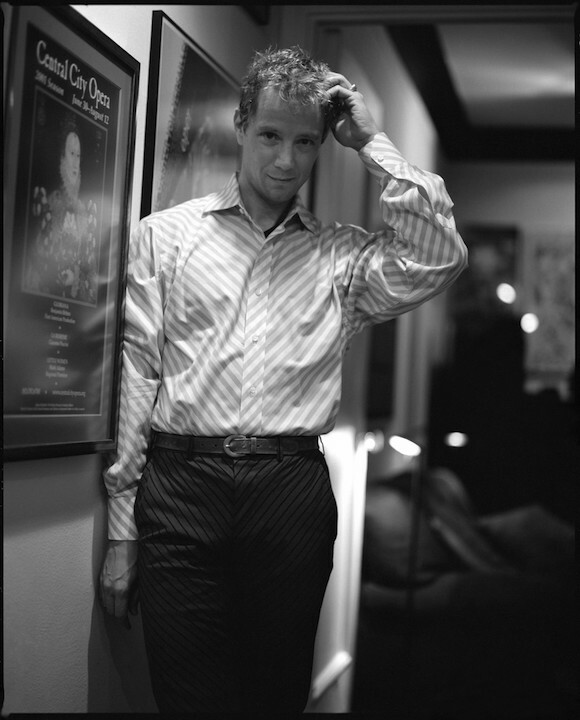 He is Jaap van Sweden (below, in a photo by Todd Heiser for The New York Times , a 55-year-old Dutchman, acclaimed for his technical prowess, who now is the music director of the Dallas Symphony Orchestra and the Hong Kong Philharmonic. There are a lot of stories The Ear could link to. But he found the coverage by the New York Times quite comprehensive and, on balance, fair. It featured a main news story with some important feature elements, including the critical acclaim van Sweden received for conducting music by Gustav Mahler and Ludwig van Beethoven. 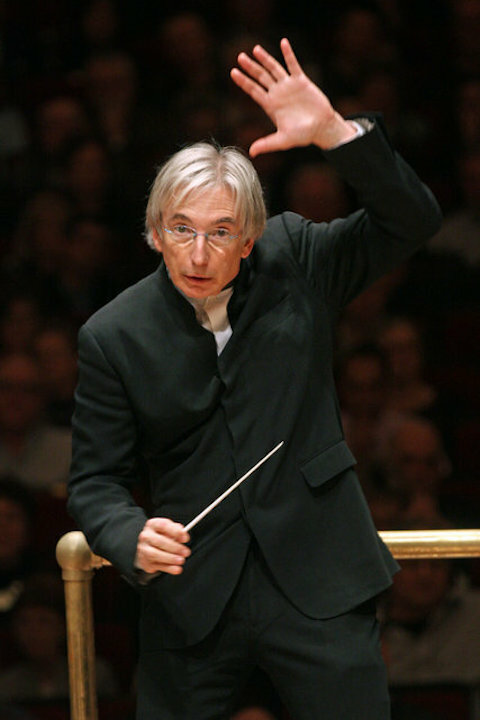 (Below, you can see van Sweden conducting the New York Philharmonic in 2014 in a photo by Hiroyuki Ito for The New York Times). 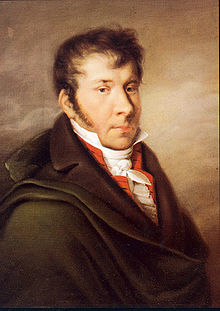 And it also featured a column or commentary by senior classical music critic Anthony Tommasini, who spoke in Madison on the occasion of the centennial of the Pro Arte Quartet that was held at the University of Wisconsin-Madison School of Music. Overall, Tommasini’s notebook entry is a fine and insightful piece, even if it gets tiring to hear Tommasini climb up on his high horse and whine yet again about the neglect of new music and contemporary composers – which does not seem fully justified based on the record of this particular conductor. 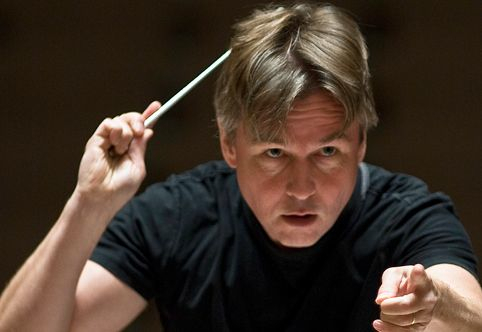 Tommasini – who himself was trained as a composer — clearly would have preferred former Los Angeles Philharmonic conductor and composer Esa-Pekka Salonen (below) as the new music director and conductor. Hmmm – could they be friends? For his part, it may sound provincial but The Ear is more concerned that the very same symphony orchestra that made history in American culture for hiring the first American-born and American-trained maestro – Leonard Bernstein (below), who also just happened to put Jaap van Sweden on the path to a conducting career – is once again turning to Europe rather to the many fine conducting talents in this country. Why was no American conductor chosen. One who comes to mind is Marin Alsop of the Baltimore Symphony Orchestra (below top) and the Sao Paulo State Symphony Orchestra in Brazil who is also a Bernstein protege. And then there is David Robertson of the St. Louis Symphony Orchestra and chief conductor of the Sydney Symphony Orchestra in Australia(below bottom). Seems odd that Marin Alsop is good enough for Brazil and David Robertson is good enough for Australia — but not for New York? The Ear wants to ask the Philharmonic’s board of directors: Do you really find all American conductors to be that inferior to Jaap van Sweden? Maybe there were practical considerations — salary, contracts, availability, refusals — that made hiring an American conductor impossible. But the stories suggest that the choice of van Sweden was made early on and the fix seemed in. Too bad. It still seems like a great opportunity that was lost. You can decide for yourself. Do you know the work of Jaap van Sweden? Have you heard him in live or recorded performances? 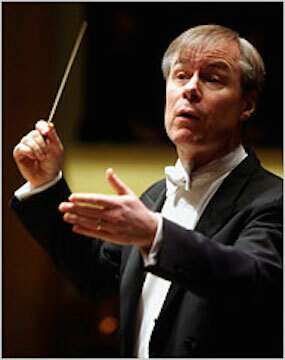 Here is a sample of Jaap van Sweden conducting Beethoven’s Symphony No. 7 in a YouTube video at the bottom. By now most of the Christmas gifts have been bought, given and opened. And soon the gift cards will be spent. So how commercial is the holiday? And how does one return to the true meaning of the holiday? It might interest local readers especially because the Madison Opera will stage Mark Adamo’s opera version of Louisa May Alcott‘s “Little Women” on Feb. 5 and 7 in the Capitol Theater of the Overture Center. 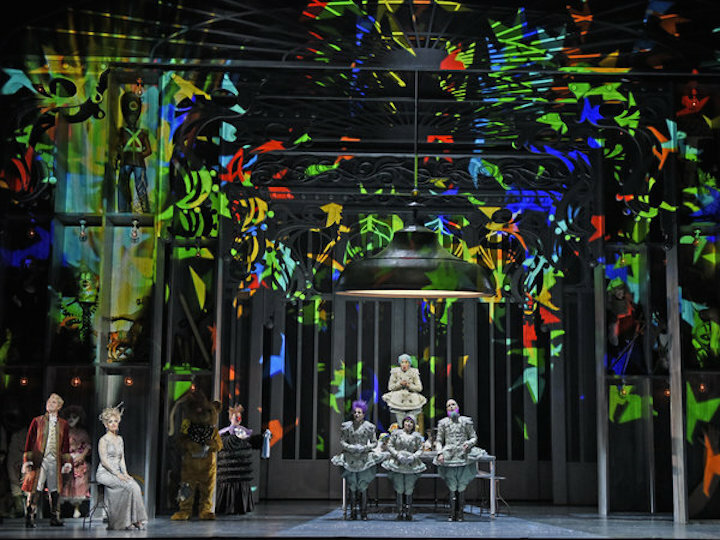 In fact, perhaps the new chamber opera (below) will one day be staged in Madison, where its message would be sure to resonate. 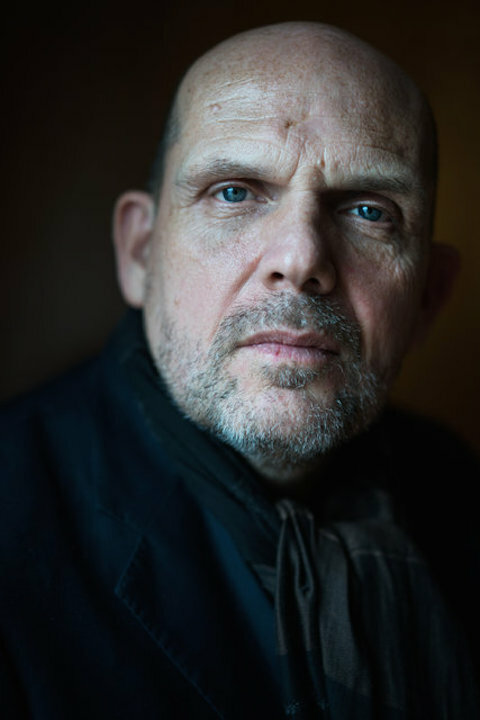 Here is a story, which has a terrific interview with the composer, about Mark Adamo’s new opera that appeared on the Deceptive Cadence blog of National Public Radio (NPR). Classical music: The Wisconsin Chamber Choir will perform “Welcome Yule,” a concert of six centuries of holiday music, including Benjamin Britten’s “Ceremony of Carols,” this Friday night. The Wisconsin Chamber Choir (below) will perform “Welcome Yule,” featuring the well-known “Ceremony of Carols” (at bottom is an excerpt in a YouTube video) by British composer Benjamin Britten. 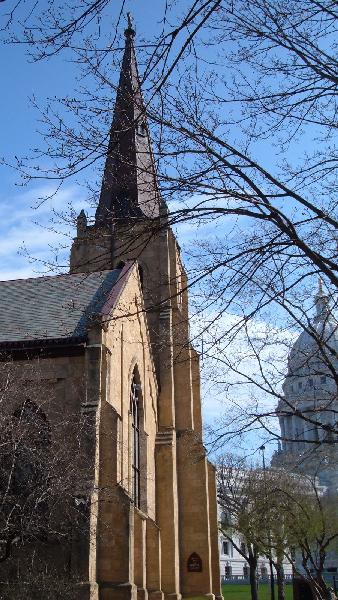 The concert is this Friday night, Dec. 19, at 7:30 p.m. in Grace Episcopal Church (below in exterior and interior photos), at the intersection of West Washington Avenue and Carroll Street on the Capitol Square in downtown Madison. Advance tickets are $15 for the public and $10 for students; at the door, the prices are $20 and $12, respectively. Welcome Yule! traverses six centuries of music in celebration of Christmas. 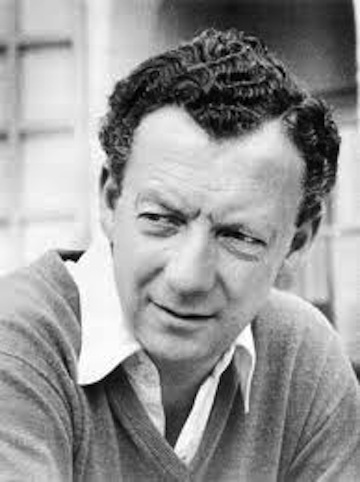 Benjamin Britten’s cheerful Ceremony of Carols, (accompanied by harp) is paired with Renaissance motets by Giovanni di Palestrina, Thomas Tallis, William Byrd and Raffaella Aleotti, and a set of rousing medieval carols. 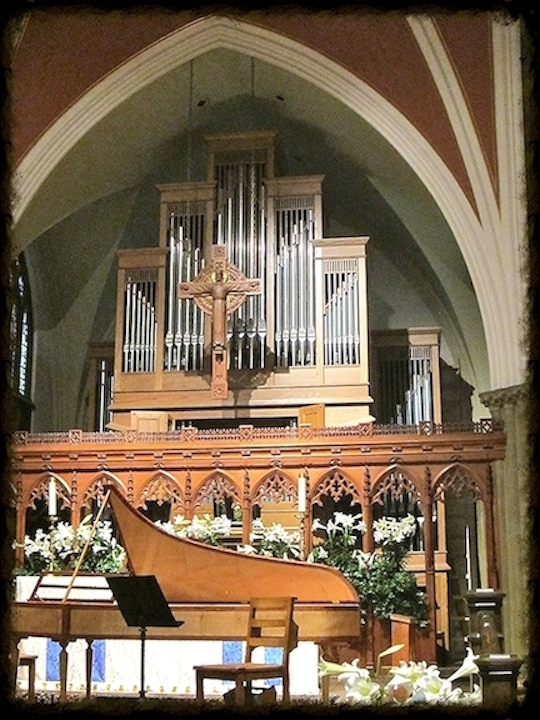 After intermission, we pay tribute to the late Stephen Paulus (below top), who died this year, with his bright and uplifting Ship Carol, accompanied by harp, followed by a rarely-heard Magnificat and Nunc dimittis by Herbert Howells (below bottom), originally composed for St. Luke’s Episcopal Church in Dallas, Texas. 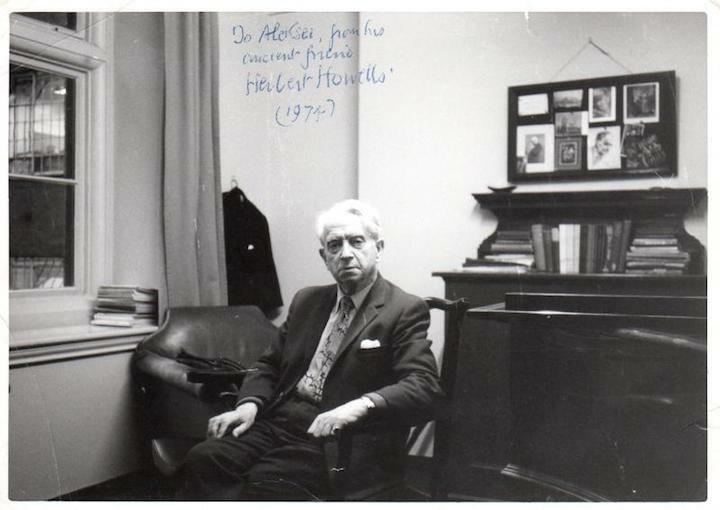 Howells’ visionary music is accompanied by organist Mark Brampton Smith. Also on the program are inspiring works by contemporary composers Jean Belmont Ford and Wayne Oquin; a lush jazz arrangement of Silent Night by Swiss jazz pianist Ivo Antognini; and a Christmas spiritual by Rosephanye Powell. Advance tickets are available for $15 from www.wisconsinchamberchoir.org, via Brown Paper Tickets, or at Willy Street Coop (East and West locations) and Orange Tree Imports. Student tickets are $10. 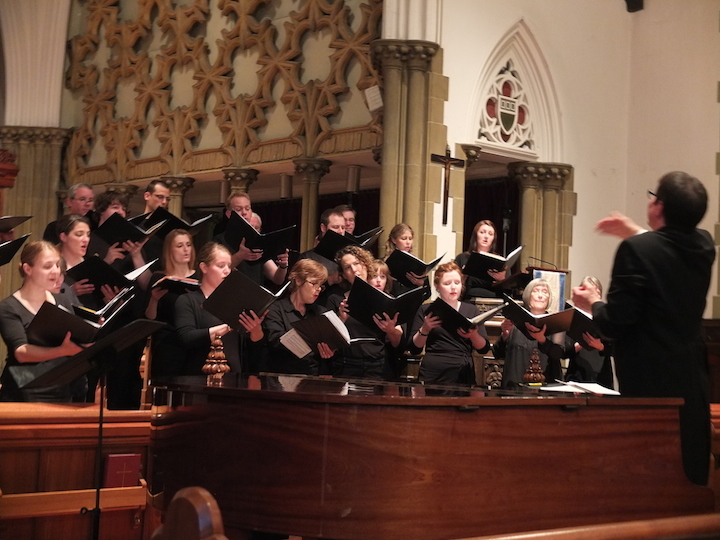 Founded in 1998, the Madison-based Wisconsin Chamber Choir has established a reputation for excellence in the performance of oratorios by Johann Sebastian Bach, Wolfgang Amadeus Mozart and Franz Joseph Haydn; a cappella masterworks from various centuries; and world premieres. 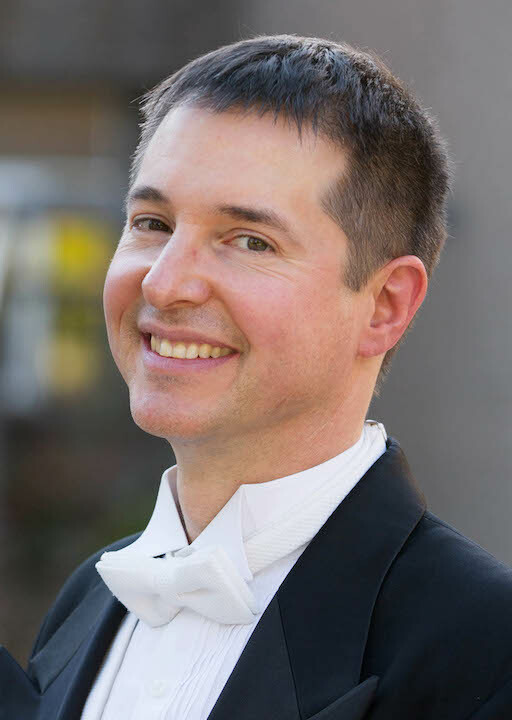 Robert Gehrenbeck (below), who directs choral activities at the UW-Whitewater, is artistic director of the Wisconsin Chamber Choir. 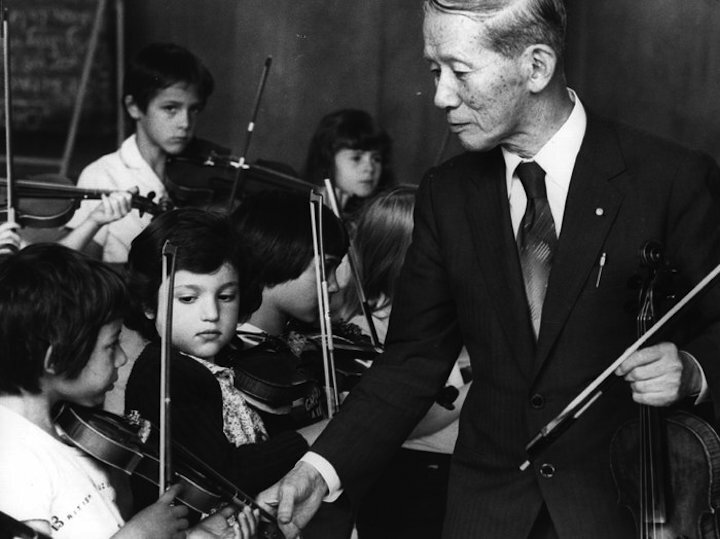 Classical music education: Was the man who invented The Suzuki Method for learning strings and the musical instruments a fraud? Violinist Mark O’Connor thinks so. What do you think? Was Shinichi Suzuki (seen below teaching British students in 1980) a fraud? You might recall that he is the man who invented the famous Suzuki Method for learning strings and other kinds of musical instruments, including the piano. Entire schools are based on his method. 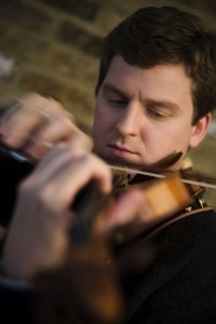 BUT: American violinist Mark O’Connor thinks he was a fraud. 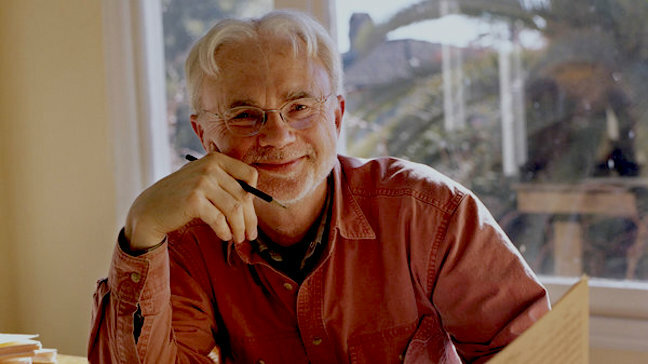 O’Connor (below) is the same musician who teaches at the prestigious Berklee School of Music in Boston and who plays and records best-selling CDs like “Appalachian Journey” with bassist Edgar Meyer and superstar cellist Yo-Yo Ma. Now The Ear suspects there will be millions, probably tens or hundreds of millions, of parents and young people – all Suzuki students at one time – who might wish to disagree with O’Connor. And it sure seems like the Suzuki has led to a lot of Asian students and others who learned through Suzuki playing in major orchestras and attending major conservatories. But you should make up you own mind about such matters, which are as ethical as they are pedagogical or musical and which force us to confront the practicality and efficacy of competing teaching methods. So here is a link to a story on NPR (National Public Radio) about the controversy. Be sure to read the more than 100 comments from readers. See what you think and then let us know. 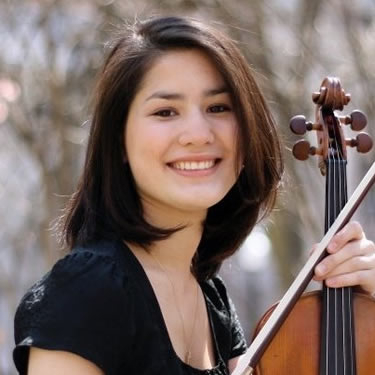 Classical music: Vicki Powell talks about why she took to the viola rather than the violin. 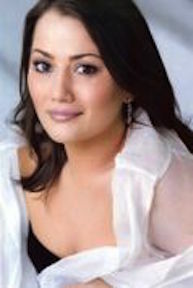 She returns to Madison to solo next Wednesday night with the Middleton Community Orchestra. 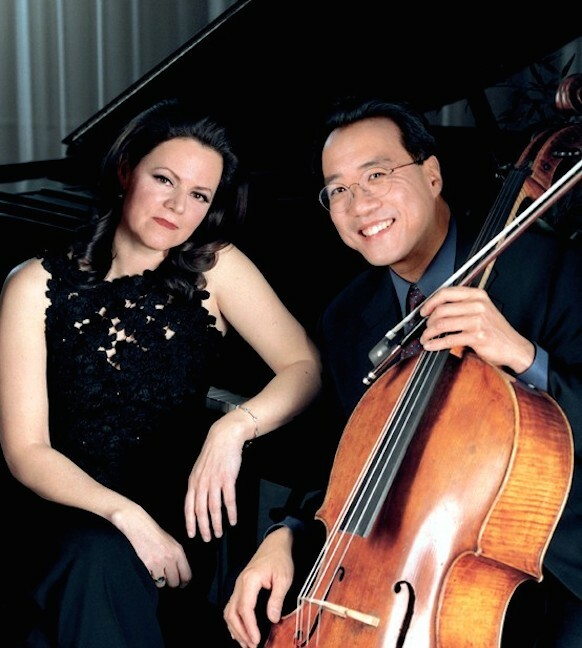 Plus, cellist Yo-Yo Ma’s SOLD-OUT recital Saturday night at the Wisconsin Union Theater will be WEBCAST LIVE and FOR FREE. BUT: If you didn’t get a ticket to the sold-out Yo-Yo Ma and Kathryn Stott concert Saturday night, October 18, in Shannon Hall in the Wisconsin Union Theater, don’t fret. The concert will be webcast if you go to the page above at 8 p.m. The Ear loves the sound of the viola, with its mellow mediating between the higher violin and the lower cello. And he will have the chance to hear it in some unusual repertoire this coming Wednesday night, Oct. 22, when the Madison-born violist Vicki Powell (below top) returns to solo with the Middleton Community Orchestra (below bottom, in a photo by William Ballhorn) under conductor Steve Kurr. 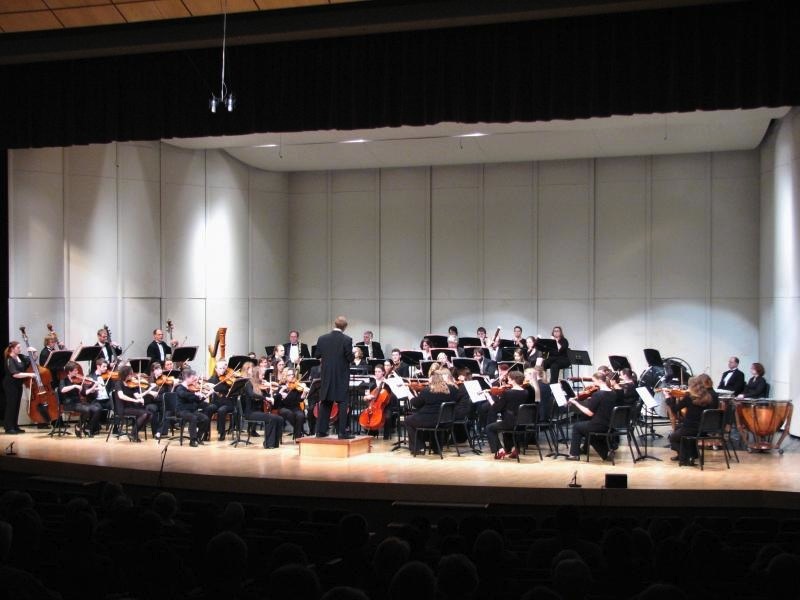 The MCO opens its fifth season at 7:30 p.m. on Wednesday in the Middleton Performing Arts Center, 2100 Bristol Street, that is attached to Middleton High School. Tickets are $10 general admission; students get in for FREE. Advance tickets can be bought at the Willy Street Coop West. 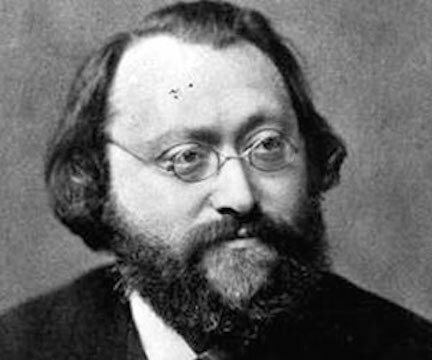 The program includes the Overture to “William Tell” (which contains the brass fanfare theme to TV show “The Lone Ranger”) by Gioachino Rossini; the Fantasy for Viola and Orchestra by Johann Nepomuk Hummel; the Romance for Viola and Orchestra by Max Bruch; and the Symphony No. 8 by Antonin Dvorak. Could you briefly introduce yourself to readers and tell us a bit about yourself, including when you started music lessons, your early preparation and your life in Madison as well as your personal interests (hobbies, etc.) and professional career plans? Greetings from New York City, the city that never sleeps and that is certainly never lacking in cultural events. I am a native Wisconsinite, raised in Madison, but for the past eight years I have been living on the East Coast. After earning my Bachelor’s of Music at the Curtis Institute, where I studied with Roberto Diaz and Misha Amory, I moved to New York City to pursue my Master’s at the Juilliard School, and have lived in the city ever since. My life consists of a potpourri of musical activities, from performing with the Jupiter Chamber Players, to playing with the New York Philharmonic, to collaborating with ballet companies alongside my new music group Ensemble39. 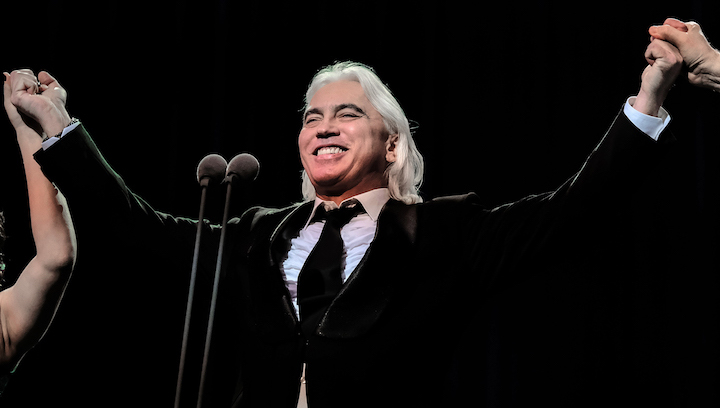 I’ve traveled across the globe and collaborated with many incredible musicians, but my most fond memories are from my time back home, the formative years of my musical being. I began taking violin lessons with Maria Rosa Germain at the age of four after hearing my brother, Derek, play the violin. I have such a vivid memory of the moment when I decided that I wanted to play the violin: It was dusk, and I was curled up on the green shag carpet of our basement floor, the last bits of daylight leaking in through the windows above. Derek was practicing the Waltz by Johannes Brahms from Suzuki, Book Two a few feet away. I was exhausted after an afternoon of monkeying around on the jungle gym, and the waltz was the most soothing lullaby to my ears, transporting me to that surreal state of half sleep where time seems to stand still. I felt so peaceful, so warm, so content, the effects combining to make the moment so magical that the only logical thing to me upon waking was that I would some day be able to recapture that sensation and make music as beautiful. 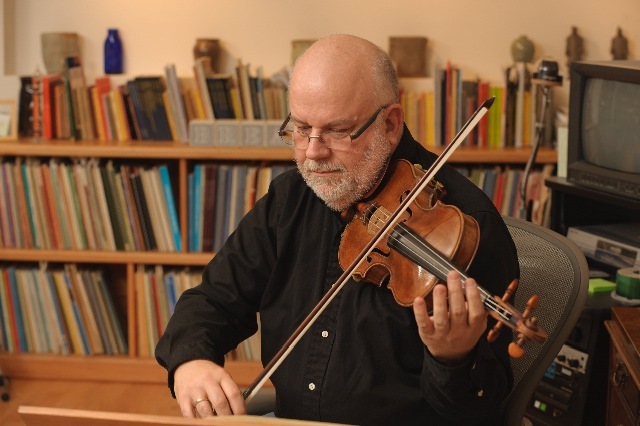 My main violin studies were with Eugene Purdue (below, in a photo by Thomas C. Stringfellow), of the famed “Buddy” Conservatory of Music, with whom I studied for nine years. 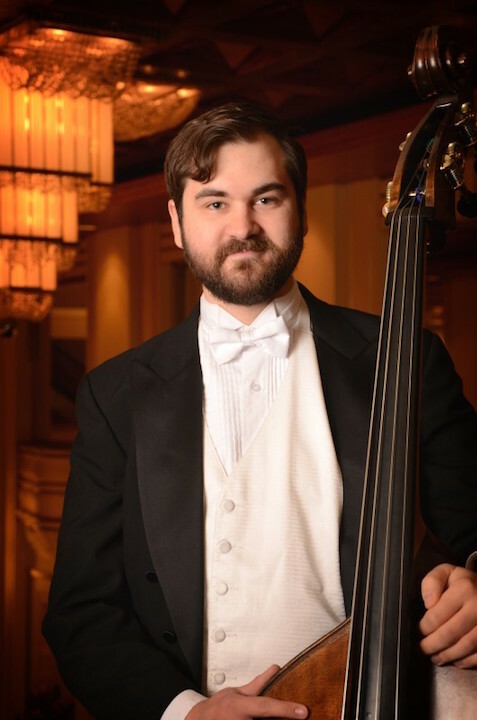 Mr. Purdue also introduced me to the wonderful world of chamber music, taking on the role of devoted coach to my string quartet, the Élève Arte (wannabes of the Pro Arte String Quartet). The challenge to my string quartet was that there were three of us violinists, and no violist to speak of, so we took it upon ourselves to switch around our roles in order for us each to have a turn at playing the viola. As the years rolled on, it became clear to us that in order to compete at competitions, it was not practical for us to be lugging so many instruments onstage (there exists some comical video footage of this phenomenon). At this point, I decided that my role in life was not that of diva (ahem, First Violin). Although I find the role of Second Violin extremely vital to the ensemble, challenging, thrilling and full of guts, I was drawn to the uniquely dark tone of the Viola. To me the viola (below) represented the real meat and soul of the string quartet, and the tone of the viola was the perfect vehicle for expressing all of the rage, pain and suffering that I felt (Bela Bartok’s works were the perfect outlet for those emotions). Most violists also play the violin. What attracted you to the viola? What would you like the public to know about the viola, which seems less well-known and more mysterious than, say, the violin or the cello? 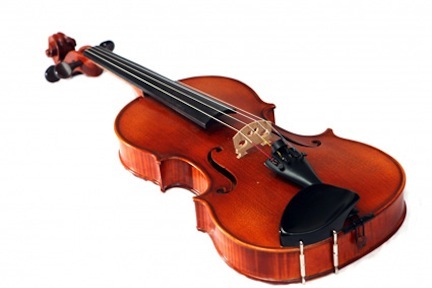 Having now overcome my teenage angst, I still adore the viola and its role in music -– to be entrusted with the core of harmony, the real color within every texture, gives me such a sense of quiet power with which I can subtly control the direction of a phrase and the shape of an entire work. 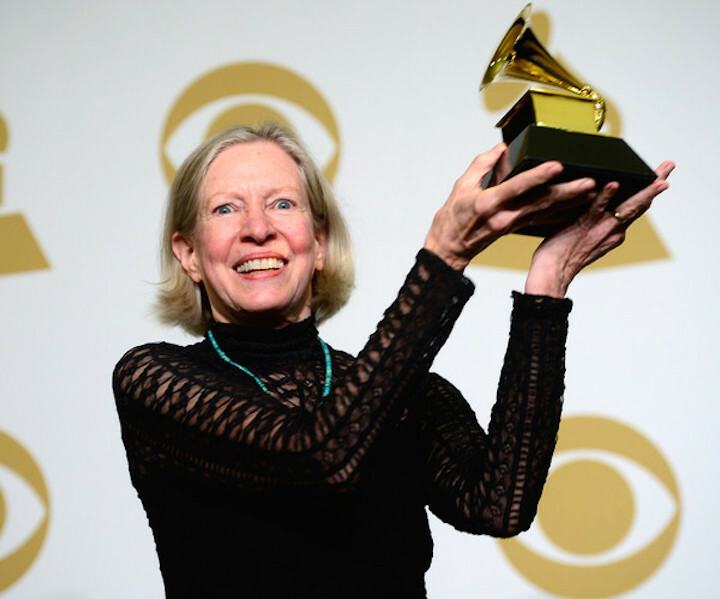 Mr. Purdue once shared a piece of wisdom relating to his wife, Sally Chisholm (below), who teaches at the UW-Madison School of Music and performs with the Pro Arte Quartet. 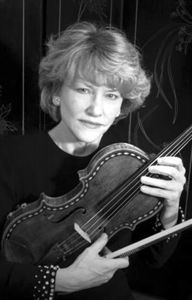 She was my first formal viola teacher and the person responsible for expanding my creative horizon beyond the physical realm of music-making. Those words of wisdom were: “People feel at ease when playing with Sally, and they easily credit themselves for sounding so magnificent. However, it is Sally who, through her playing, acts as such a strong guiding force that the flow of musical intention is undeniable.” That is a powerful statement that has stayed with me to this day, and which I strive to achieve every single day. Was there an Aha! Moment – an individual piece or composer or performance or recording, when you knew you wanted to pursue music as a career and be a violist? I can’t imagine pursuing a life in anything unrelated to music and the arts, but it was not always that way. 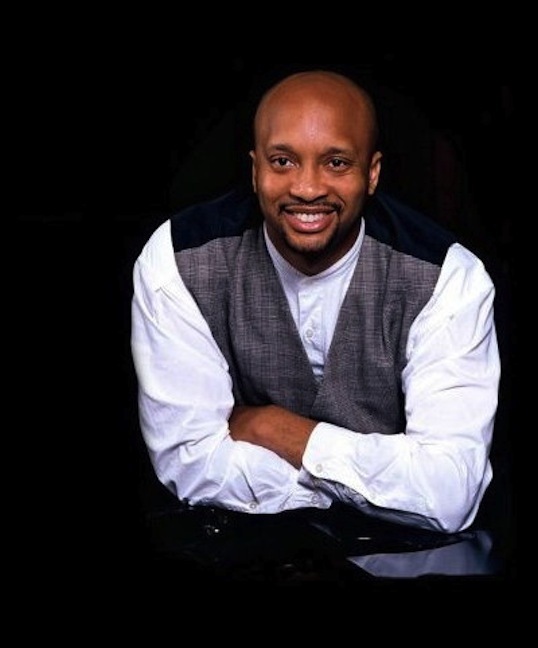 As a teenager, I refused even to dream of becoming a musician –- I’m a very realistic person, and the idea of fighting my way through a world that is so competitive and which is not quite so financially lucrative was not one that appealed to my sensibilities. During my early high school years, I focused my attentions on math and the sciences, preparing myself for a life as a dentist or pathologist. 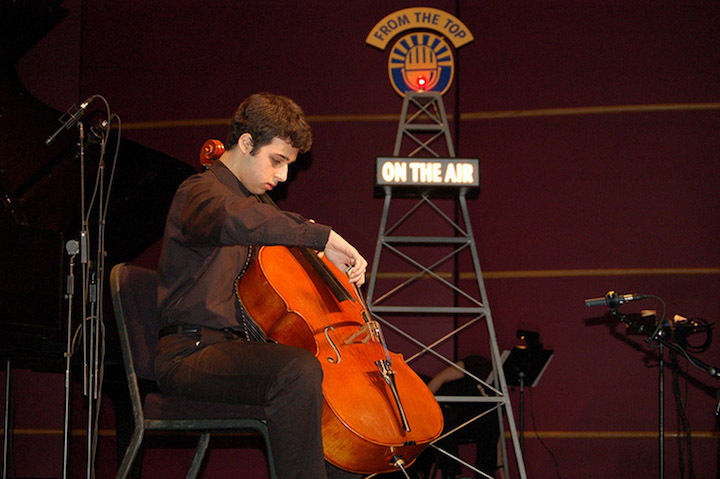 Then my “Aha!” moment came with my 16th birthday when I gave my debut as a solo violist on the nationally syndicated radio show From the Top on NPR (National Public Radio). It was the first time I had ever played for an audience to which I had no connection — the show was taped in Dallas, Texas — and I suppose the whirlwind story behind my debut as a violist sans string quartet helped to convince me that a life in music would never be boring. I had such a blast meeting new people, and the thrill that came with being onstage was unforgettable that from that point forward I was hooked. How do you think classical music can attract more young people? We so often hear that classical music is dying, a sentiment with which I strongly disagree. Times have changed, and the world has turned to an era of short attention spans and an addiction to social media. I myself am victim to a few of these [shortcomings], but because of them, I am also aware of the enormous amount of interest in the classical world. I believe that in order to attract more young (and old) fans of classical music, we must be conscious of providing inviting points of entry. I am very fortunate to be privy to several hip events around New York City that target young people looking to be cultured and have a great time doing so. 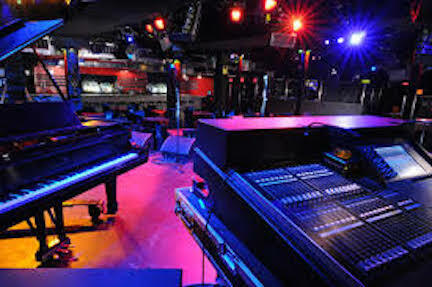 A few examples are: Groupmuse, Wine by the Glass, NYC House Concerts, the Le Poisson Rouge (below) nightclub. They all introduce music in a social setting where it’s cool to explore, and where you don’t feel constrained by rules of concert-watching etiquette. What can you tell us about Hummel’s Fantasy for Viola and Orchestra? The Romance by Max Bruch (below top) holds a very special place in my heart. 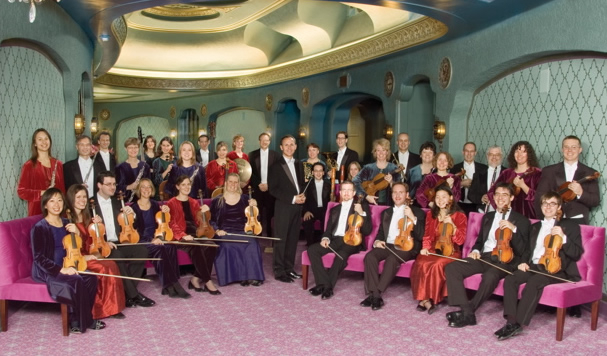 It was the very last work I performed — with the Wisconsin Chamber Orchestra (below) — before departing Madison to begin my studies at the Curtis Institute of Music eight years ago! The lush, tonal soundscape will draw in any sucker for Romantic music. Is there something else you would like to say or add? I’m very much looking forward to performing at home again, with people that are like family to me. Mindy Taranto, cofounder of the Middleton Community Orchestra, has been such a great friend and supporter to me throughout the years, and I am thrilled to finally have the opportunity to collaborate with her and the orchestra. Classical music: What music does the assassination of JFK bring to mind for you today on the 50th anniversary of his death? 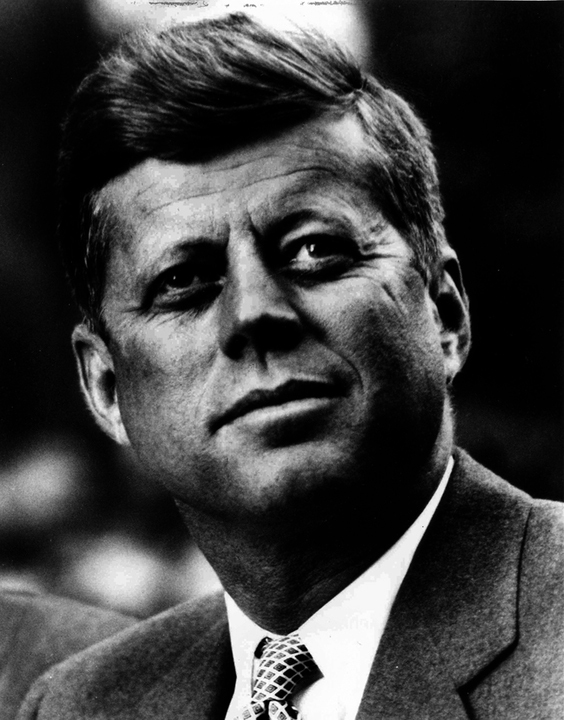 Today is the 50th anniversary of the assassination of President John F. Kennedy (below), or JFK, in Dallas, Texas. It was a momentous event in so many ways for the country. And like many of you, I remember exactly where I was and what I was doing when I heard the news flash of his shocking death. One of JFK’s legacy, one deeply encouraged and acted on by his First Lady Jacqueline Bouvier Kennedy, was to revitalize the American art scene and enhance it with involvement and help from the government. That so now irks the conservative philistines who want to zero out the budgets for NPR, PBS, the NEA and the NEH, who want an ignorant citizenry that will buy into their distorted lies and mean-spirited stupidities. But how fitting for the New Frontier was that quiet cultural revolution promoted by JFK during his short tenure in The White House. Artists responded enthusiastically to JFK and his death. How I recall the music that was put together quickly and performed on the then relatively new medium of television. 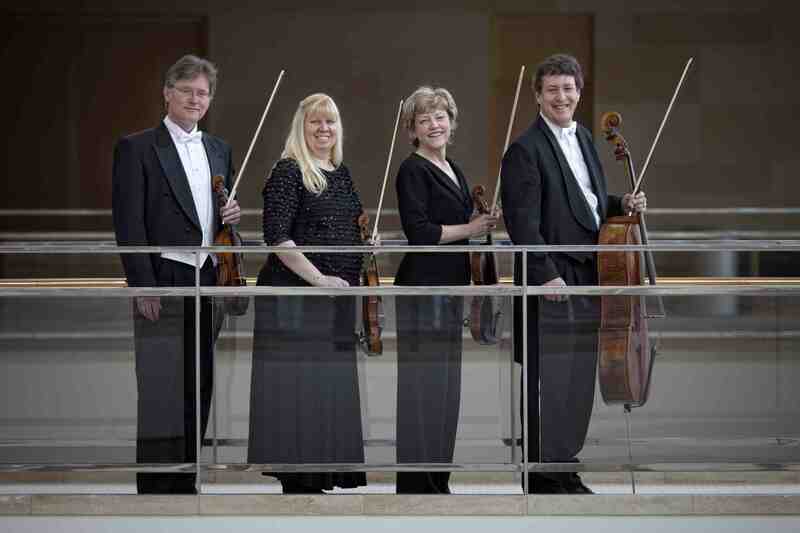 I think the requiems by Wolfgang Amadeus Mozart and Giuseppe Verdi were performed and broadcast, as was Samuel Barber’s “Adagio for Strings” – a favorite of JFK and a work that was given its world premiere by the UW-Madison’s Pro Arte String Quartet in 1936. Gustav Mahler‘s Symphony No. 2 “Resurrection” and Ludwig van Beethoven’s Symphony No. 3 “Eroica” were also performed. I remember the specific works that for me struck the right chords, so to speak, about the murderous death of the President. 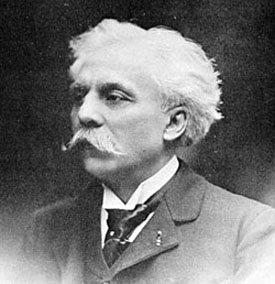 One was the Requiem by Gabriel Faure (below). The whole work is so beautiful and gentle, peaceful and calm – and how we all needed beauty and gentleness, peace and calm, that awful weekend — and it was completely unknown to me. 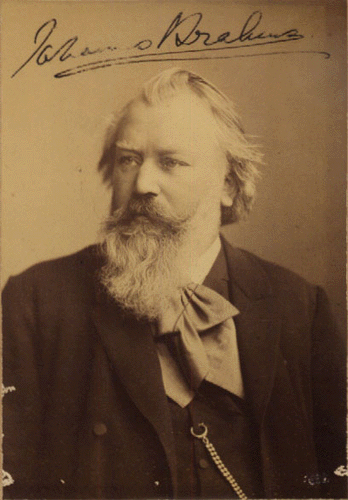 The other work I remember from those events is the “German” Requiem by Johannes Brahms (below). I had known it before. But this was when it took on real meaning. It was the final movement, “Blessed Are The Dead for Their Works Live on After Them.” I loved the secular, but respectful and even loving quality of the text and of course the music. That allowed it to appeal to the entire nation and to all people everywhere around the world, regardless of their faith or beliefs. It seemed so fitting and so true, then; and it still does now. 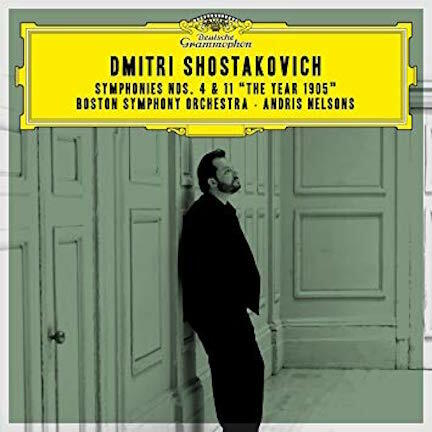 What works of classical music come to mind for you when you think of that awful day in Dallas and terrible weekend in Washington, D.C., 50 years ago?